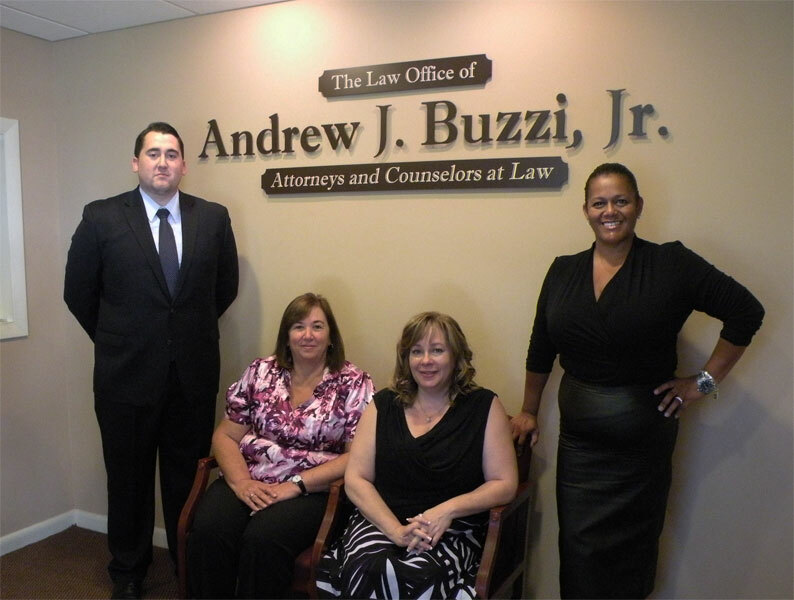 The Law Office of Andrew J. Buzzi, Jr., LLC takes pride in serving businesses and individuals in the greater Danbury area for over twenty years. We are a full-service law firm that offers a wide range of legal services including landlord-tenant disputes and real estate, both residential and commercial; firearms and civil rights representation; corporate law; wills, estate planning and probate; civil litigation; and general practice. 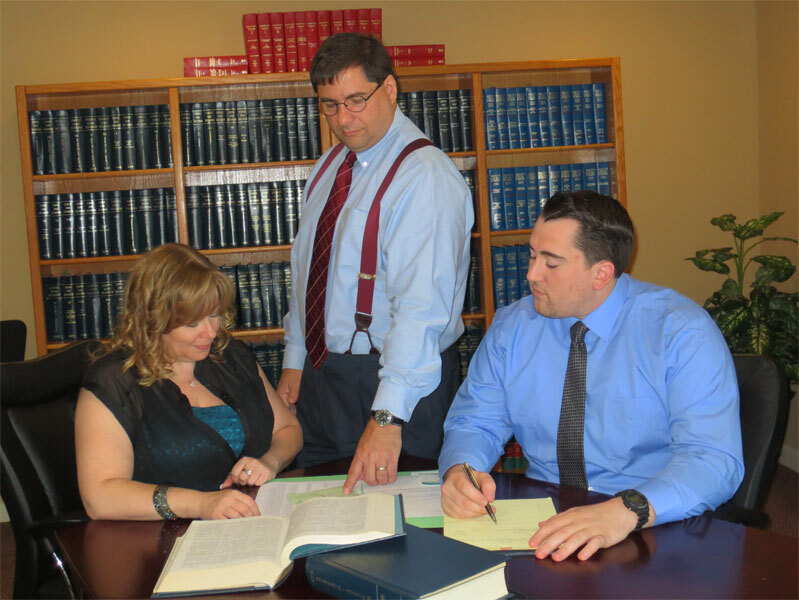 With our team of attorneys, paralegals and paraprofessionals, you can expect dedicated, individual attention, sound advice and cost-effective solutions. 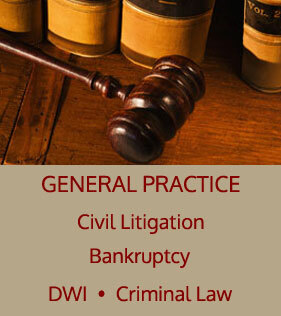 You can feel confident that your legal matter is in the right hands. Each member of our team at the Law Office of Andrew Buzzi, Jr. is dedicated to addressing your needs with integrity and professionalism. Our approach has proven effective in protecting our client's rights by judicious application of over twenty five years of knowledge and experience. As a client, you can expect prompt, personal service and attention to every detail of your legal matter. 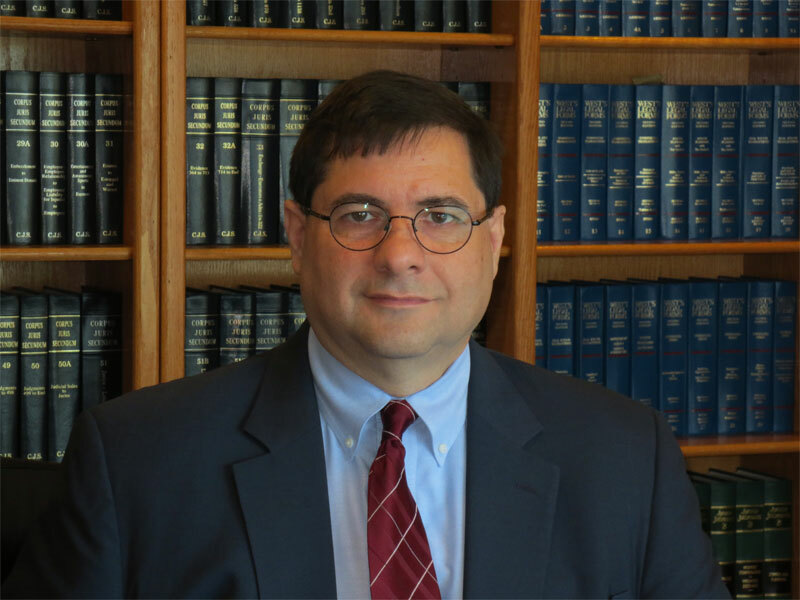 Dedicated to the needs of his clients and the community in which he serves, Andrew Buzzi, Jr. has lived and practiced law in the greater Danbury area for the past twenty-five years. Although focused in Danbury, being admitted to the bar in Connecticut, New York and Florida has resulted in Attorney Buzzi's participation in a wide array of legal experiences giving depth and sophistication to the practice. 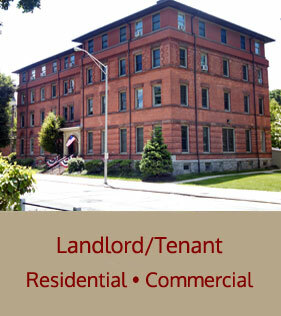 The Law Office of Andrew J. Buzzi, Jr., LLC has extensive experience in handling landlord/tenant disputes in the greater Danbury area. Representing Landlords, we understand the loss a nonperforming rental unit represents and aggressively utilize our extensive experience to return the unit to a performing status in the minimum possible time. Representing Tenants, we apply our intricate knowledge of landlord tenant law to zealously protect our client's rights and ensure fair treatment. 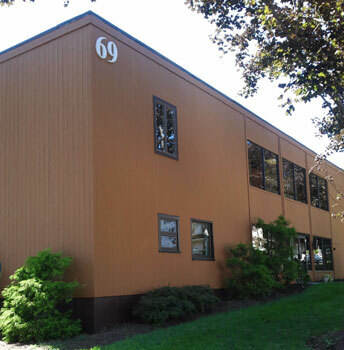 We maintain extensive experience in drafting and reviewing all levels of lease agreements from simple residential to complex commercial leases. From lease agreements to eviction proceedings, our knowledgeable staff will devote its full attention to every aspect of your case. Whether you are buying or selling residential or commercial property, The Law Office of Andrew J. Buzzi, Jr., LLC can advise you though the process. 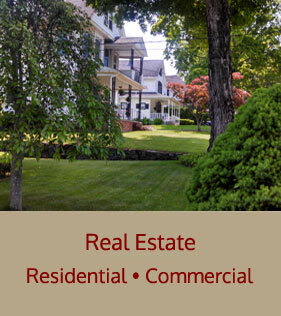 Our office represents individuals and businesses in Connecticut, New York and Florida in all areas of real estate law including; sale & purchase, property rights, leases, mortgages, title disputes, variances, denial of building permits, zoning rights and more. No matter how simple or complicated, our staff will provide you with the personal service needed to walk you through all stages of your real estate transaction or legal issue. The Law Office of Andrew J. Buzzi, Jr., LLC has one of the most recognized and well respected firearms law practices in Connecticut. We have worked with firearms manufacturers, dealers and individuals for over twenty five years in this complex and changing area of law. You may be a dealer in need of advice or an individual in charge of an Estate containing firearms and responsible for their legal disposition. 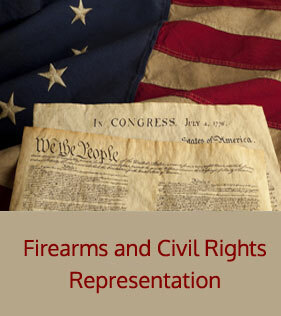 We specialize in identifying firearms and determining their proper treatment under the increasingly complex array of Connecticut and Federal Law. If you are going to Court for any reason...you had better get the advice of a Lawyer that knows the firearms laws. You can lose your right to keep and bear arms forever on a simple plea if you don't know the law. Whether its a firearms transfer, you have been denied your right to carry a pistol or revolver or the possession of your firearms has been interrupted by legal process, we can help. The Law Office of Andrew J. Buzzi, Jr., LLC offer a broad range of business and commercial services at a reasonable cost. We assist businesses and entrepreneurs of all sizes with business formation, general corporate law, employment, contracts, lease agreements, acquisitions and more. If you are buying or selling a Company, we have the knowledge and experience to successfully guide you through the transaction. Our staff takes pride in developing lasting client relationships so we can provide you with the long term guidance necessary to help your company realize its goals. From simple wills and trusts to more complex estate planning, The Law Office of Andrew J. Buzzi, Jr., LLC can assist you in protecting your family's future. Our law firm offers guidance to help families preserve their wealth for future generations by minimizing estate taxes and avoiding the expense of probate. We encourage our clients of all ages to consider preparing a will so that you can protect your family, prevent disputes and allow your wishes to be carried out. 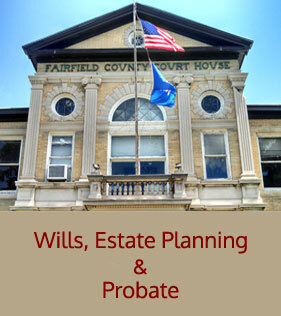 The Law Office of Andrew J. Buzzi, Jr specializes in the efficient administration of Estates as Counsel for Executors and Administrators in the Connecticut Probate Courts. If you have an estate matter, we can help. In addition to our main practice areas, to The Law Office of Andrew J. Buzzi, Jr., LLC offer a wide range of general legal services. 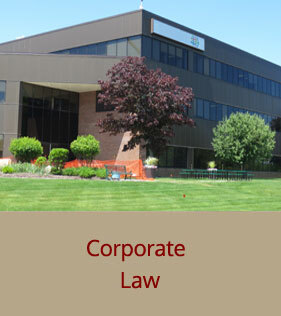 DWI, Civil Litigation and Condominium law are just a few of the other legal areas that our firm has experience with. We provide professional representation and work closely with our clients to obtain the best possible result with the least expense. The Law Office of Andrew J. Buzzi, Jr., LLC represents individuals, businesses & organizations in a variety of civil litigation matters including business & commercial, real estate, landlord/tenant, construction, personal matters and more. We give our clients the personal attention and realistic counseling they need to decide if litigation is the best course of action from a fiscal & personal perspective. In addition, our firm has successfully helped clients resolve claims through arbitration, mediation and other efficient and cost saving methods. This Web page is a public resource of general information which is intended, but not promised or guaranteed, to be correct, complete and up-to-date. However, this Web page is not intended to be a source of advertising, solicitation, or legal advice; thus the reader should not consider this information to be an invitation for an attorney-client relationship, should not rely on information provided herein and should always seek the advice of competent counsel in the reader's state. The owner does not intend links on the Web page to be referrals or endorsements of the linked entities, and the owner of this Web page will not accept referrals for employment from unregistered referral services. Furthermore, the owner of this Web page does not wish to represent anyone desiring representation based upon viewing this Web page in a state where this Web page fails to comply with all laws and ethical rules of that state. Finally, the use of Internet E-mail for confidential or sensitive information is discouraged. WE DO NOT DISCLOSE ANY PERSONAL INFORMATION ABOUT OUR CLIENTS OR FORMER CLIENTS TO ANYONE, EXCEPT AS PERMITTED OR REQUIRED BY LAW AND ANY APPLICABLE STATE ETHICS RULES. We do not disclose any nonpublic personal information about current or former clients obtained in the course of representation of those clients, except as expressly or impliedly authorized by those clients to enable us to effectuate the purpose of our representation or as required or permitted by law or applicable provisions of codes of professional responsibility or ethical rules governing our conduct as lawyers. One such implied authorization is to non-lawyer employees of the firm so that they may assist the lawyers in representation. Our policy specifically means that we protect the confidentiality of our clients' Social Security numbers, prohibit unlawful disclosure of our clients' Social Security numbers and limit access to our clients' social security numbers in the same manner as we do all other nonpublic personal information. We safeguard the data, computer files and documents containing your personal information and destroy, erase or make unreadable such data, computer files and documents prior to disposal. We make reasonable efforts to restrict access to nonpublic personal information about you to those employees who need to know that information in order to provide products or services to you. We make reasonable efforts to train those employees to protect the privacy of our clients. We maintain physical, electronic, and procedural safeguards that comply with federal and state laws to guard your nonpublic personal information.